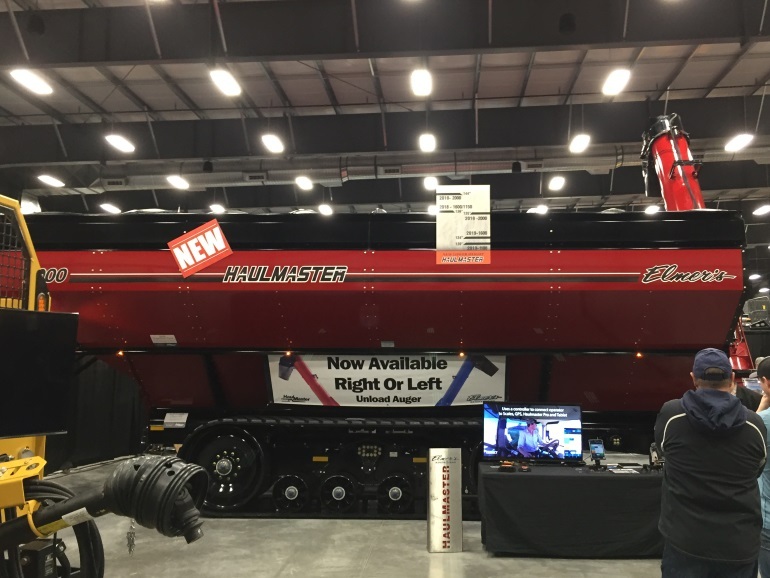 Elmer's Manufacturing, based in Altona, Manitoba unveiled its new Haulmaster Grain Cart last week at the Agri-Trade Equipment Expo in Red Deer. Sales Manager Brad Friesen talked about some of the new features. "One of the big requests we had from farmers, sitting in the jump seat in their combines, was to get the cart lower and we did that by restructuring our frame and our axle. Another item that they asked for was for us to get faster unload speeds, so with a lot of work from our engineering team, we found ways to not only move our grain better, but faster. We should be 25 per cent faster than anyone else in the grain cart market." Friesen says the new design has been in the works since about 2015. A joystick option is available and the grain cart comes in sizes up to 2,000 bushels.